As we honor our country’s military veterans today, we should also reflect on the contributions they have made, or could make, to feeding our nation through agriculture. Today, of the 21.6 million veterans alive, more than six million live in rural America, with a significant portion engaged in agriculture at some step in the supply chain. At the same time, 200,000 active duty personnel are transitioning out of the military each year. While the vast majority will not enter into agriculture, there is a strong case to be made that they should consider it. The concept of swords to plowshares has been in existence since biblical times. But in recent years we have seen a strong partnership form among all levels of government, educational institutions, and industry and nonprofits, to assist our warfighters transformation into farmers and ranchers: the U.S. Department of Agriculture (USDA) is working with the Department of Defense (DOD) through its Transition Assistance Program; USDA has its own Office of Advocacy and Outreach; land-grant institutions provide curriculum for veterans interested in agriculture; credit and grant opportunities have been carved out for veterans; and the marketplace has even witnessed the introduction of a “homegrown by heroes” label to denote that products are veteran-made. 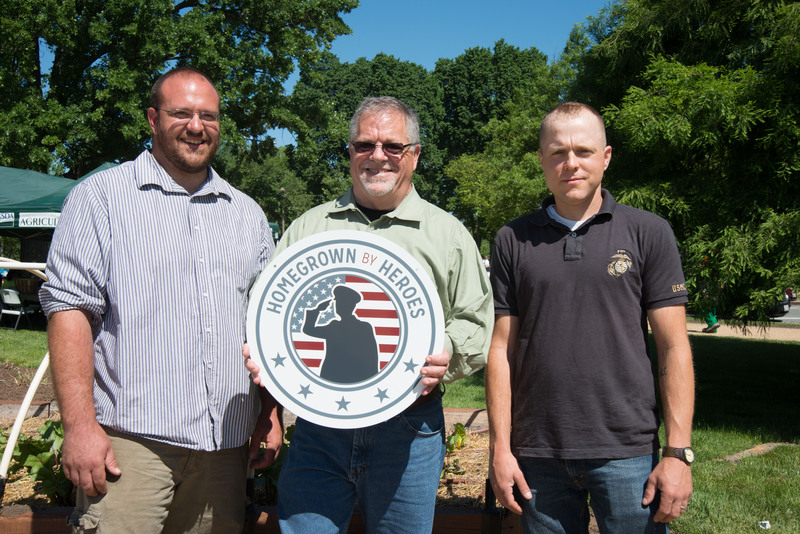 There is a vast network looking to help veterans succeed in agriculture. Agriculture and veterans have valuable opportunities to offer each other. Agriculture offers the ability to work outside with nature, create a life-sustaining product, and engage in a service of vital importance to our nation. Veterans in turn are motivated, results-driven, and as demonstrated by their time in the military, service-oriented. In short, the two complement each other’s needs and opportunities very well. When only one out of three retiring farmers is replaced and rural communities are losing population, America needs more farmers and ranchers. Likewise, when there are 18 veteran suicides per day, and Post Traumatic Stress Disorder and Traumatic Brain Injuries are significantly affecting the quality of life for so many of our veterans, the physical and psychological benefits of agriculture can help heal. National Farmers Union, through its educational programs and legislative outreach, works to improve the lives of veterans, who are either engaged in agriculture or looking to enter it. On the education side, NFU offers its Beginning Farmer Institute and College Conference on Cooperatives; on the legislative side, it advocates for programs such as the Beginning Farmer and Rancher Development program, microloans, and value-added producer grants. But growing the rural economy and helping our veterans is bigger than any one organization. Thankfully there are educational institutions such as Cal Poly and University of Nebraska that are taking innovative steps to set up veterans for success. The Farm Service Agency, Small Business Administration, and the Farm Credit System are assisting with startup and operating credit. Nonprofits such as the Farmer Veteran Coalition and Veterans to Farmers are providing technical assistance and certification programs. Lastly, USDA has revamped its beginning farmer website to be more efficient and user friendly. There is a new section completely devoted to the resources and opportunities for veterans looking to enter agriculture. Since the American Revolution when veterans were provided land for their service, this nation has had a strong history of veteran-farmers and ranchers. As we reflect on their contributions, we should commit ourselves to ensuring that today’s transitioning service members have the ability to succeed should they decide to enter agriculture.